Big Sean and Jhene Aiko are planning on 2017 to be a big year. Yesterday, Big Sean took to Twitter to confirm that a new full-length from TWENTY88 — his collaborative project with Jhene Aiko — will be coming in 2017. While no other details have been announced, this album will be the follow up to Twenty88's self-titled debut that dropped in March this year. Sean also implied that the two of them will also be releasing their own solo projects in 2017. "We gon get our solo's off too though! #Dons #Soulmates," Sean lovingly wrote. 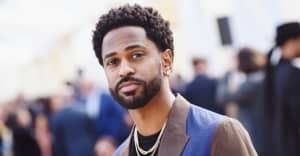 While Big Sean seems to be getting his fans ready for Don Season with his new tracks "No More Interviews" and "Bounce Back," Aiko has yet to provide any teasers for what she has in store. These forthcoming projects will be the follow-ups to Big Sean’s 2015 LP Dark Sky Paradise and Aiko's 2014 debut album Souled Out. View the announcement below and revisit Big Sean's FADER interview here.